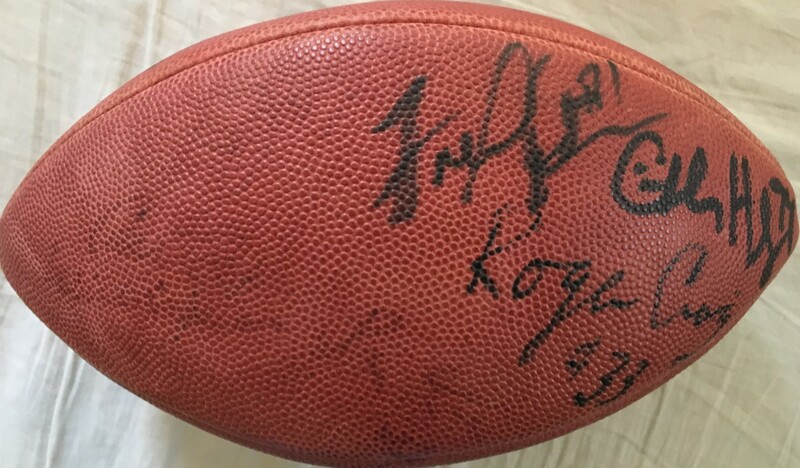 Official Wilson NFL leather game model football autographed in thick black marker by six key members of the San Francisco 49ers 1980s dynasty: Jerry Rice, Roger Craig, Fred Dean, Charles Haley, Dwight Hicks and Keena Turner. The football is also signed by Michael Carter, Ronnie Lott and Carlton Williamson but these signatures are severely faded, and there are other severely faded signatures that have been overwritten. With certificate of authenticity from AutographsForSale.com. 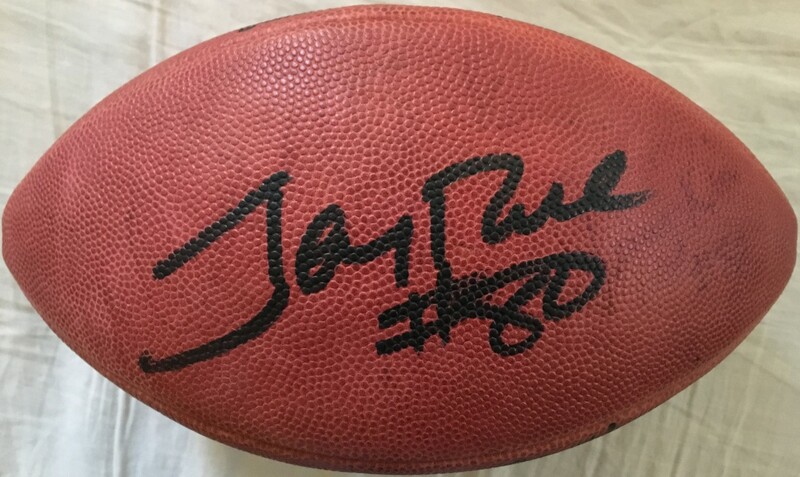 Due to the age of the football, it may not stay fully inflated. ONLY ONE AVAILABLE FOR SALE.